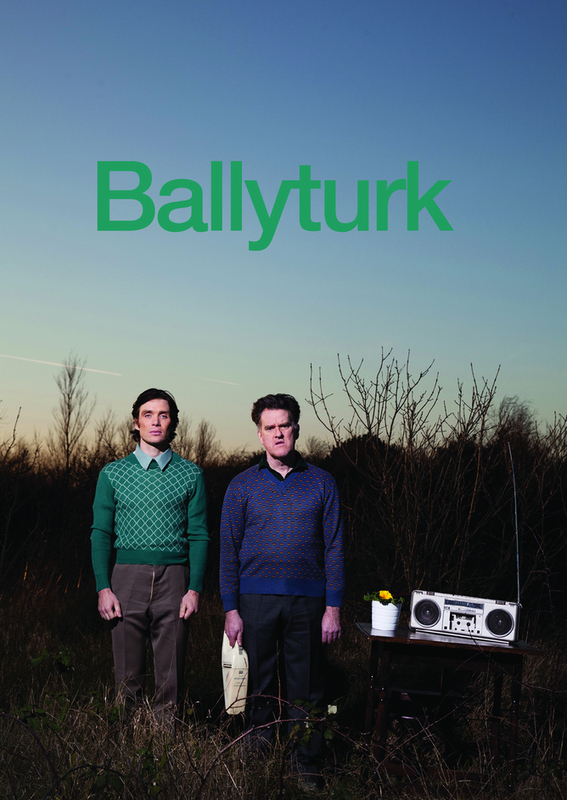 The lives of two men unravel quickly over the course of 90 minutes in Enda Walsh's ambitious and tender new play, Ballyturk. Irish actor Cillian Murphy, who stars in BBC Two period crime drama Peaky Blinders and whose film credits include 'Disco Pigs', Danny Boyle's '28 Days Later...' and Neil Jordan's 'Breakfast on Pluto', returns to the National following his 2012 solo performance in Misterman and is joined by Enda Walsh's long-time collaborator Mikel Murfi, and the internationally acclaimed Stephen Rea who has appeared in high profile films such as 'V for Vendetta', 'Michael Collins', 'Interview with the Vampire' and alongside Cillian in 'Breakfast on Pluto'. The comedy, Walsh's first new play in four years, reunites the creative team behind the Dublin playwright's Misterman. Described as "gut-wrenchingly funny and achingly sad, and featuring jaw-dropping moments of physical comedy", the production makes its world premiere at the Galway Arts Festival in July and stops off in Dublin before transferring to the National Theatre in London from 11th September. What are the best dining options near Ballyturk London? Ballyturk gyms, sporting activities, health & beauty and fitness. The best pubs near London Ballyturk. Ballyturk clubs, bars, cabaret nights, casinos and interesting nightlife. Where to have your meeting, conference, exhibition, private dining or training course near Ballyturk. From cheap budget accommodation to luxury 5 star hotels see our special offers for National Theatre: Lyttelton Theatre hotels, including ME London from 0% off.